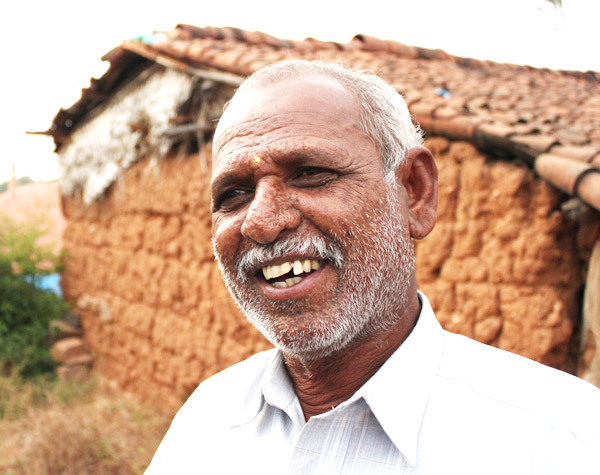 Like many farmers in and around Kanakapura Taluk near Bangalore city, Shivrudraiah says he was initially skeptical of organic practices and sustainable agriculture when he heard of them through GREEN. What he did know for sure, is that chemicals had degraded his land, reducing yields drastically. And inorganic inputs were expensive. Exacerbating the situation was limited access to credit to meet the costs of farming. On one occasion, Shivrudraiah recalls, he had to pledge family gold as security to avail loans required for cultivation. This is not uncommon for farmers, he adds. “When we had to take out loans, it was not possible to access credit for agricultural costs, because no one will lend you money when you’ve already taken out a loan for something else.” More often than not, he had to borrow money from local money-lenders at high interest rates to make ends meet. “You get money on the condition that you sell all your produce back to the money lender at rates fixed by them.” Unfair measuring practices of these money lenders further affected the economic returns of farming; their high interest rates crippled the economic security of his family. Shivrudraiah remembers that things were different in the olden days, before the use of chemicals, when traditional practices were in widespread use. “If a 6-month crop failed, farmers had access to 3-month or 4-month crop varieties that would give good yields and sustain the family during the lean months,” he recalls. These indigenous varieties increased food security for the family. They also had greater resilience to climate change. The comfort and wellbeing of his family boils down to one very simple equation for Shivrudraiah: “Good seeds equal good standing crops. Good standing crops equal good yield. And good yields lead to increased income.” But it all begins with the seed, he adds. His journey to autonomy and independence from debt started with a very small step, says Shivrudraiah. He agreed to cultivate indigenous seed varieties through organic inputs on a small plot of his land under GREEN’s suggestion. This was around 2005, when, he says, the yields on his land had been consistently decreasing over a period of many years. “When we first started using chemicals, yields doubled, even tripled. But this didn’t last for long. And as time went by, yields actually decreased,” he adds. When he took up the cultivation of indigenous varieties through low-cost organic inputs made from home, Shivrudraiah’s economic troubles took a turn for the better, he says. Initial results from the small section of his farm convinced him to employ organic farming practices on the rest of his land. Under GREEN’s initiation, he attended many training sessions to learn and implement a more sustainable approach to farming. His decisions were initially met with skepticism by his friends and neighbors, he recalls. But the results spoke for themselves. In a few short years, Shivrudraiah transitioned from subsistence to surplus, with quality organic produce on his hands that would fetch good prices in the market. This is when, he says, he felt the need for increased market access. In 2006, under the initiation of GREEN, the farmers’ society of Janadhanya was established with an aim to provide market linkage for farmers like Shivrudraiah. Janadhanya’s objectives also include promotion of organic farming principles and empowerment of women farmers. Through the society, farmers in and around Kanakapura Taluk provide indigenous variety seeds to buyers in the locality. After the establishment of Janadhanya, farmers in Shivrudraiah’s community were able to fix rates of their own produce, for the first time in decades, he says. These prices are determined during regular meetings at the common consensus of members. This has contributed to the strengthening of his economic security. However, quality assurance of organic produce for consumers in the local market needed a formal process of authentication that was affordable to small scale and marginal farmers. Around 2008, GREEN introduced the concept of the Participatory Guarantee System (PGS) in and around Shivrudraiah’s community of Veeraiahnadoddi. He joined, says Shivrudraiah, because PGS would provide him with an opportunity to increase the economic returns of farming. This system of authentication uses a group approach based on peer appraisals of farms to ensure that community members adhere to the principles of organic farming that they pledged to follow when enrolling for the process. Today low cost organic farming has increased Shivrudraiah’s family savings. And as savings increased, he says, so did access to credit. “After we took up organic farming, our costs were cut and as a result, savings increased and with that came easier access to credit. The need for loans was also reduced,” he adds. Intervention programs have brought about many positive changes in his life, explains Shivrudraiah. “I have improved decision making capacity and leadership skills,” he says. These leadership skills have allowed him to govern as the current President of Janadhanya, expanding the society’s activities and strengthening initiatives that increase market access for fellow farmers. Through experience, he has realized that there is strength in numbers. Availing Govt. funds is easier through a group approach and joint marketing initiatives are strengthened. Farmers who have poor education levels benefit from the wisdom of group decisions and this is particularly useful in an area where a majority of community members have very limited education. There is also an increased sense of unity with farmers in PGS groups, and many are able to cut down costs of labor through sharing of responsibilities. Within his own family too, there have been many changes. “My wife is more involved in the decision making process now,” he says. In-situ conservation of seeds has increased farmers’ food security due to increased biodiversity in their farms, “We had lost indigenous varieties in our community. It is important to increase have them because without the seed, it is not possible to cultivate anything.” Seed sharing has strengthened seed security in his village of Veeraiahnadoddi. There is greater ecological balance in Shivrudraiah’s lands now. Soil fertility has improved, pest and disease management is less difficult and there is more efficient management of farm resources now than before, he says.